The camera is rolling. The light is glaring. In front of a rapt audience at the Faculty Club, Shanna Farrell, of The Bancroft Library’s Oral History Center, starts to interview a volunteer. The conversation begins, and soon, the stories start to flow freely, with the subject quickly forgetting the presence of the camera — and the onlookers. 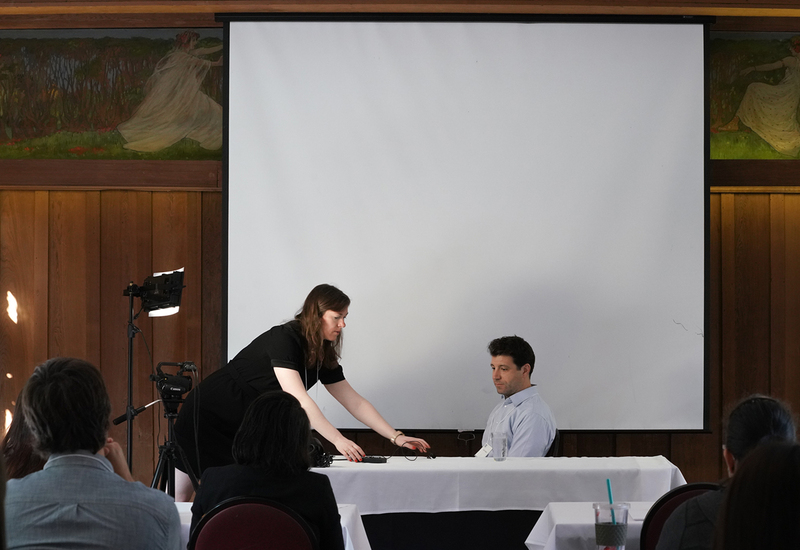 The live sample interview was part of a session at the Advanced Oral History Summer Institute, held last week, demonstrating how to make subjects comfortable and get them to open up. Drawing about two dozen people from across the country — including graduate students, scholars, and historians — the institute provided a deep dive into the theory and practice of oral histories. Speakers shared stories of interview disasters and some of the more interesting lessons they’ve learned along the way (including the fact that subjects will, on occasion, admit to federal crimes during an interview). 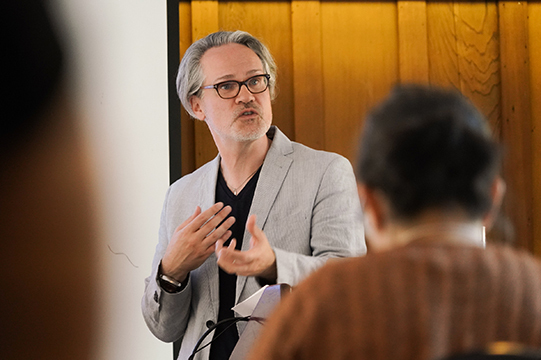 The institute also provided insight on conceptualizing and planning a project, the legal and ethical issues oral historians may encounter, and the more technical aspects of interviewing, such as what kind of audio and video gear to use. Participants also workshopped their own projects with fellow attendees, including the experts at the OHC. 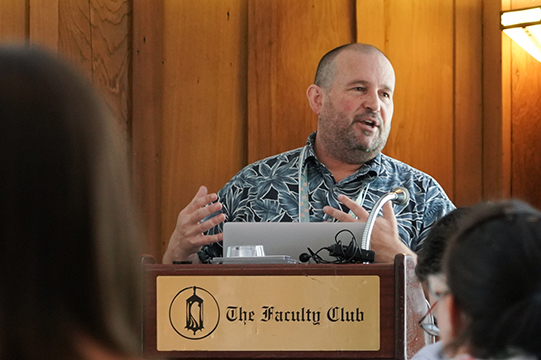 “My favorite thing about the Summer Institute is working with such smart, thoughtful, and engaged participants,” said Farrell, who coordinated the event. 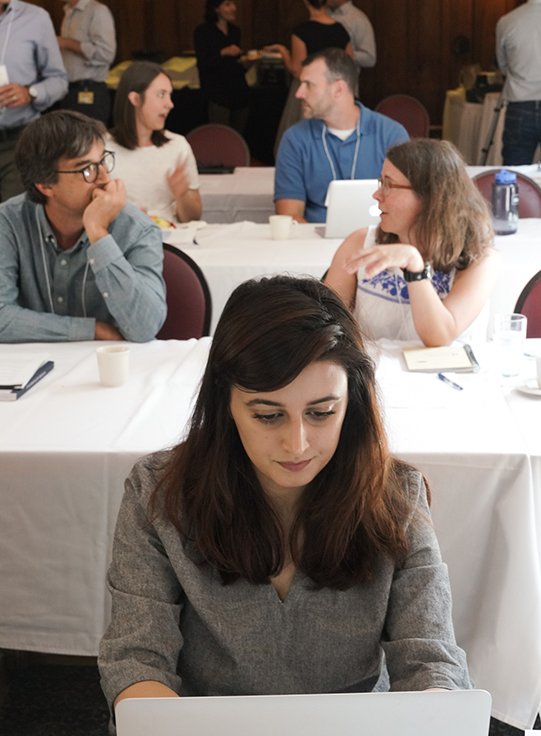 Top to bottom: Clockwise from left: Participants chat between sessions at the workshop; interviewer Paul Burnett speaks about project planning; and David Dunham, technology lead, talks about recording with microphones. Quiz: UC Berkeley is home to 25 libraries. Which one are you?